Called in during the eighth to make sure he would pitch in his final All-Star Game, Mariano Rivera soaks up an ovation. He tossed a perfect inning and was named MVP in the AL’s win. NEW YORK — It wasn’t Ted Williams and the 1999 All-Star Game at Fenway Park, but it was pretty close. It was New York, but it was the Mets at Citi Field. 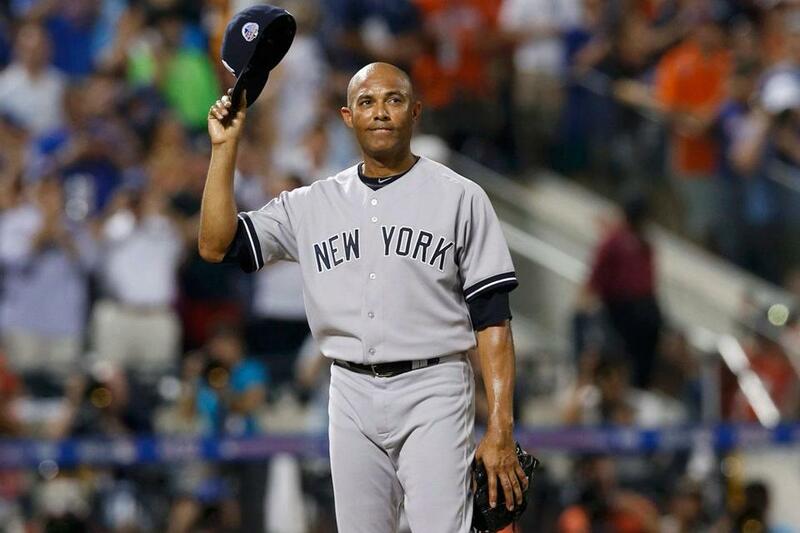 The two New York teams and fan bases don’t like one another, but the Yankees’ Mariano Rivera got the ovation of his life. Spine-tingling. Emotional. Use all the superlatives you can. Rivera’s perfect eighth inning in the American League’s 3-0 victory over the National League Tuesday night was pretty special. The oddity is that Rivera pitched his last All-Star Game as an eighth-inning setup man for Texas closer Joe Nathan, who worked the ninth Tuesday night and got the save. It was a scenario none of us expected. But Rivera, the classy righty who briefly began his career as a starting pitcher and then as a setup man for John Wetteland, was summoned earlier than usual because AL manager Jim Leyland did not want to risk an NL comeback and no bottom of the ninth. And so Rivera, of course, pitched a scoreless inning, doffed his cap to the crowd, heard the applause of his AL teammates and NL opponents, and walked off into the New York moonlight. Not Yankee New York, but the Mets New York. It was home anyway. Rivera entered the game to Metallica’s “Enter Sandman” for the long run across the outfield grass and onto the mound. He was on the field by himself for about two minutes. His teammates came out one by one and had his back on the field. Rivera composed himself and breezed through the inning. What else is new? Leyland had been thinking that he may have to have Rivera, the author of 638 career saves, pitch before the ninth. Neil Diamond had just sung “Sweet Caroline” when the Metallica music came on and overcame that moment. Rivera, named the game’s Most Valuable Player, said Leyland spoke to him about the possibility of coming in earlier than the ninth during batting practice. While it was a memorable night for Rivera, how do you think Nathan felt? Nathan was sweating it out. He knew he might have been the setup guy and he didn’t want to blow it for Rivera, but Leyland took that decision out of his hands. Nathan said he was still a little shaky about the moment. “I’ll calm down next week,” he said. “It was a highlight in my career, for sure. It goes right along with something in the game I’ll never forget. There are moments I’ll remember very clear and this was one of them. Tampa Bay’s Ben Zobrist spoke about the emotional moment when Rivera spoke to the room full of All-Stars. “He has everybody’s respect,” Zobrist said. “It was kind of like his chance to say goodbye to this room full of All-Stars and say thank you. He said it’s been a blessing. From what I know about him, that means a lot. He certainly has done the game really well. I think he probably was [emotional] but he wasn’t sobbing. Rivera was asked about being at the top of his game still and why he would retire. “I don’t want to think about it because I might change my mind. I don’t want to do that,” he said. Though many would want to convince him to do so.